Many of the makers associated with the Arts & Crafts movement wrote highly imaginative novels and they often had beautifully decorated covers littered with motifs in the Arts & Crafts style. 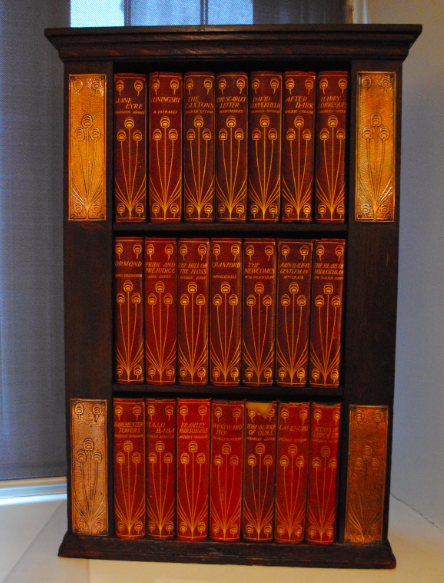 Dating to circa 1900, the above books are on display at Blackwell Arts & Crafts House and were designed by the decorative artist Talwin Morris. The book spines feature stylized flowers with swirling grass motifs and are stored in a similar richly decorated bookcase.